I’m taking some time off this week. I hope you’ll enjoy this selected article. I do not permit a woman to teach or to exercise authority over a man; rather, she is to remain quiet. 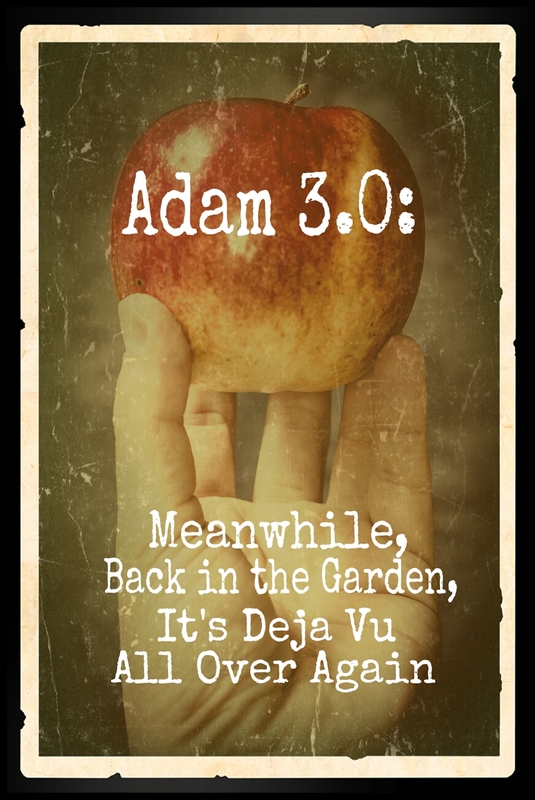 For Adam was formed first, then Eve; and Adam was not deceived, but the woman was deceived and became a transgressor. Because it’s my passion to see Christian women become holy, passionate, obedient disciples of Jesus Christ, I’ve dealt with this passage a lot and done a lot of research on it. Scripture is crystal clear that women are not to instruct men in the Scriptures in the church in the capacity of pastor or teacher, nor are they to hold authority over men in other positions in the church. (I’ve outlined Scripture’s case for this here if you’d like to do some further study.) And, unfortunately, there are many women in the church who are disobeying this Scripture (I used to be one of them)– some out of rebellion, and some out of ignorance. But until recently, I –and every other piece of information I’ve studied on the subject– have dealt with the issue of women stepping outside their God-ordained role in the church strictly as a women’s issue. And that’s when it hit me. I’d never heard this question addressed, or even asked, before. First Timothy 2:12ff is always dealt with from the perspective of women and towards women, that this is a women’s sin issue. But to treat this role rebellion strictly as the sin of women is to pour gasoline on the fire. If it’s a singularly women’s problem, then it naturally falls on women with a right understanding of God’s word on the issue to deal with it, right? And if these women are the ones who have to confront and deal with this sin, even at the local church level, they’re being placed smack dab in the misappropriated role they’re trying to fight because they’re being asked to do the job of elders and pastors whose responsibility it is to maintain order and discipline in the church. In other words, my Christian brothers, it’s not your discerning sisters’ job to handle this sin of role busting in the church. It’s yours. Give Genesis 3–the story of the Fall–a read through the lenses of 1 Timothy 2:12. See any similarities between what happened in the Garden and what’s happening in the church? The man is off somewhere, not fulfilling his role of spiritual guardian, leader, and protector, leaving the woman alone and vulnerable to Satan’s attack. Satan tempts the woman to sin and she succumbs. The woman then entices the man to sin, and instead of standing on God’s word, refusing to sin, and correcting her, he actually joins her in her sin. And when God calls the man to account for this whole scenario, what does the man do? He blames the woman. Was Eve responsible for her decision to sin? Of course. That’s why we even have 1 Timothy 2:12-14 in the Bible. But God gave the man the authority and God held the man ultimately responsible. That’s why we see passages like Romans 5:12-14 (and others) attributing the sin in the Garden to Adam rather than Eve. While there are many faithful pastors and Christian men out there diligently laboring to be godly teachers and leaders in the church–and praise God for those men!–there is a large and increasing number of men in our churches, both pastors and laymen, who are failing to fulfill the role God has called men to in the church. Pastors who will only preach what tickles people’s ears. Men who sit in the pews refusing to teach or serve or lead or even attend faithfully. As it was in the Garden, the Christian men are nowhere to be found as Satan creeps into the church and attacks women with this temptation. And, as God called out then, could He be calling out now, “אָדָם, – Adam- Man, where are you“? 3. Men are afraid of women. Not afraid of them physically, but afraid of the ones who will make a scene, cause strife, split churches, get pastors fired, and generally make life hell on earth for anyone who dares to put his foot down firmly on the word of God and say, “You’re in disobedience. You need to repent and step down.” I know these women (and, of course, there are men who do this, too). I have had plenty of them come after me, and, having a husband who’s been in ministry for over 20 years, I’ve seen plenty of them attack pastors, staff, deacons, etc., and I don’t blame men for feeling scared. But men, Jesus has called you to defend His Bride from all enemies, both foreign and domestic, and feeling scared doesn’t excuse you from doing what’s right and biblical. Look to the courage Jesus exhibited on His way to the cross. Look at Peter, Paul, James, and the other apostles as your example of valor as they chose flogging, hardship, jail, and martyrdom over compromising the word of God. And a special word of encouragement to pastors: your church doesn’t need someone who’s afraid to rock the boat, even if that’s what they want, and even if your job is on the line. It needs a man who will stand for Christ, no matter the cost to him personally or vocationally. You can’t call your people to do that in their own lives if you aren’t willing to do it in yours. The God who was strong enough to save you out of the pit of hell is strong enough to find you another job and provide for your family. Be faithful to preach and carry out the word in season and out of season. You can do it. Trust Christ. He’s got you. God has given women a phenomenal, and much needed, role in the church. He has given men a different, yet equally phenomenal and much needed role in the church. For the local church to function in a healthy way, both men and women have to fill out our own roles correctly. And, guys, we ladies can’t and shouldn’t have to do your job in addition to ours. I realize this is a more stringent tone than I usually take. Peter, Paul and the other apostles probably raised some eyebrows when they used a stringent tone, too. But when a house is burning down, the fireman doesn’t tiptoe in, hand you flowers, and politely request that you, pretty please, come with him. And that’s where we are in the church. The house is burning down around us. And, in the end, this article is not meant to be a castigation of pastors or other Christian men, but an impassioned plea from a church lady who wants to see her sisters make it out alive. Help us. Please. Be the heroic men of God that you have the right, the calling, and the responsibility to be. Because, despite what some of the women of your church might say, that’s what we, and the body of Christ, so desperately need. This article is written for men, to men, by a woman who sees the problems with women taking on the role of a preacher. Great article on a very important subject. I love her end thoughts and I think you will, too: Help us. Please. Be the heroic men of God that you have the right, the calling, and the responsibility to be. Because, despite what some of the women of your church might say, that’s what we, and the body of Christ, so desperately need. Thanks so much for the reblog and the kind words, Anna! Very good treatment of a sensitive subject. Even HAVING to chastise men of their long-abandoned role of shepherding their rebelliously-teaching wives is an unpalatable thing to need to do in the first place. Another issue is that women have also usurped authority not only inside churches but by creating para-church “teaching ministries” in the world, and the resulting default of the husbands taking on the wifely role at home. Women such as Beth Moore who do their teaching supposedly aimed at women only, have de facto translated their ‘ministry’ into a career. They spend much time away from home even if they have small children. Their husbands wind up as support to their career/oops/’ministry’, such as Keith Moore as VP of Living Proof Ministries, with Beth Moore as President. I researched one group of younger mothers in ministry who are involved in these new and wildly popular socially progressive “Christian” movements (Propel, IF:Gathering) and do much traveling out of the home and even out of the country for lengthy periods. One of these ladies wrote about the fact that she brought her children to daycare so she could have peace at home while she writes books about being a stay-at-home mommy. I am not making this up. Another lady posted a photo of herself being interviewed in a television show far from home, with her two toddlers watching on the laptop and Daddy-Stay-At-Home standing by. I’d written about these women, calling them “Secret Christian Feminists” because they have translated their ‘desire’ (Genesis 3:16) into careers disguised as para-church teaching ministries. The husbands in these Daddy Stay At Home cases are just as culpable as the men who sit under women at church. Thanks for your well-written, thoughtful work on this. Thank you, Elizabeth. This is an excellent point that I really should have included in my “file folder” I keep on Beth Moore (http://wp.me/p1qdEF-zl). I was actually thinking about this very thing this morning as I edited one of my bios. There’s a reason my bio lists “Christian” first, then “wife” then “mother” followed by church, blogging, authoring, etc. Every time I look at it, it reminds me of the order of my priorities. Even as someone who has nowhere near the fame and platform of someone like Beth Moore, I struggle to keep things lined up the way God wants them to be. My personal relationship with Christ has to come first, followed by serving my husband, children, and church, in that order. Woe to me if I gain the ministry world and lose my family in the process. Not only were the men of Israel sitting under the authority of a woman, but when God commanded Barak to go to battle, he refused unless a woman went with him. 21 But Jael, Heber’s wife, took a tent peg and seized a hammer in her hand, and went secretly to him and drove the peg into his temple, and it went through into the ground; for he was sound asleep and exhausted. So he died. This is so true, Jessica! I did a study on Barak a few months ago and came to the exact same conclusions. Yet still so interesting that Barak is included in Hebrews 11, commended for his faith. One of the things that I find most encouraging about Hebrews 11 is that the people we find there are people who struggled with the same things we do today. These were very much sinners saved by grace. David, Samson, Barak, Moses, Gideon, Abraham…they all have times where they fell or showed a lack of faith, and yet because God is faithful and continued His good work in them we can now look at them and have full assurance that He will complete His good work in us. Absolutely! I also appreciate that Hebrews 11 shows us two spectrums (spectra?) of people whom God commended for their faith. They run the gamut from famous (David) to anonymous (women who received back their dead). They also range from phenomenal faith (Abraham) to mustard seed faith (Samson). It really helps us see that our works, or fame, or spiritual maturity are not what commend us before God, but the faith that is a gift from Him, through Christ, in the first place. Every Christian fits into Hebrews 11 somewhere.